Finding a spy tool that can get you access to someone’s WhatsApp messages is difficult. It’s not an impossible thing to do, but it requires you to find the most effective programs and, in some cases, you need the victim’s device too. Now, we understand that some people are completely against all forms of hacking. Most people associate hacking with evil although there are some situations where it’s beneficial and where you’ll need a WhatsApp spy hacker. Perhaps you have some concerns about your child, and you want to make sure they’re safe. Alternatively, you could be worrying that your spouse is cheating on you. Regardless of why you need WhatsApp spy online, this article will explain everything you should know. There are a few basic things that you’ll need to get before you start. It’s likely that you’ll already have all of these, but here they are. Monitoring software for accessing the target’s WhatsApp. This is the hardest part as you must make sure you find software which fulfils your needs. Furthermore, the software must be reliable to prevent getting caught. Direct access to the target’s device. Again, this can sometimes be hard to get as most people keep their smartphone nearby. To ensure anonymity, you can try taking their device while they are asleep or in the shower when they don’t realise it has been taken. An active internet connection. Downloading the software that you’ve chosen, and installing any necessary firmware on the target device, will require an internet connection. After you have each of these things, you are ready to begin. Getting access to their WhatsApp device and checking your internet connection is fairly easy. The real difficulty is selecting a WhatsApp spy hacker, and as such, we’re going to detail some of the choices that you have. First on the list is the best account hacker – Spyzie. When it comes to hacking tools, we couldn’t recommend Spyzie enough: it’s simply the best hacking tool that you can get your hands on. Spyzie provides a lot of different hacking utilities. Aside from WhatsApp, you can also perform Gmail password hack, tango hack into someone’s account, and monitor a target’s Facebook messages, keystrokes, and GPS location. Here are some of Spyzie’s key features. 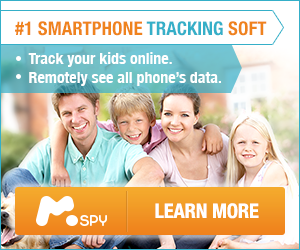 Monitor and spy on photos, videos, voice memos, SMS text messages, and much more data. Access the Spyzie browser from any location via the online dashboard. Complete anonymity is a guarantee; the target won’t find out that you are spying on them. This best cell tracker is available for both iOS and Android devices. 24/7 customer support is on offer to help anyone who needs it. Track the live GPS location of your target. Even though this is just a handful of the features that Spyzie offers, you can see that there are clearly a lot. Try out the free demo to get a better insight into each of these features and many others. So, we’ve caught your interest, and you want to start using Spyzie as a WhatsApp spy hacker? Fantastic! Use the short guide below to find out about installing and setting up the powerful Instagram hack tool– Spyzie. Step #1 – Start by signing up for a free Spyzie account. For access to all of Spyzie’s features, you must purchase a premium subscription. Step #2 – Fill out the form that is shown on display. Make sure that you select the correct device type (we’ll be using iOS). Step #3 – You’ll now see a prompt to verify an iCloud account. Please note that the iCloud account must be the same one that is signed in on the target’s iPhone. Note: to complete the verification you may have to confirm the iCloud sign-in on their device. Step #4 – Once you’ve finally set up Spyzie you’ll be able to access the dashboard. We suggest taking a few minutes to explore the dashboard and get a feel for some of the features. Step #5 – After signing into the Spyzie dashboard, click “Social Apps” from the menu on the left and then on “WhatsApp“. To access WhatsApp files that they have been sent, click “WhatsApp Files“. Step #6 – Whenever the device receives or sends a message on WhatsApp, you will be able to view it here. For this guide, we chose to use an iPhone as an example. It’s worth noting that if you want to WhatsApp spy online an Android device, then you’ll need to install the Spyzie APK on their device. Another spy tool that you can consider using is WhatsApp Hacking Tool. This spy tool has a reputation for being undetectable, safe to use, and it is compatible with any WhatsApp device. Click here to view this website and read the guide below to use the WhatsApp spy online solution. Step #1 – On your computer, open the WhatsApp Hacking Tool website. Step #2 – Enter the target’s phone number into the entry box. Make sure that this is the same number they are using with WhatsApp. Step #3 – Select the data that you want to hack. You can choose from messages, photos, videos, and call information. Step #4 – After you select each data type, click on “Hack” and after about a minute the target’s WhatsApp information will be shown. In comparison to Spyzie, this WhatsApp spy hacker has more limits. Mainly, this hacker is only capable of hacking WhatsApp whereas Spyzie is more flexible. The final solution for hacking into a WhatsApp account is HackingADDA. HackingADDA is a WhatsApp spy online solution that is completely free to use, and that can monitor virtually any WhatsApp account. If you want to start hacking a WhatsApp account, then go ahead and follow the guide below. Step #1 – Click here to go to the HackingADDA website. Step #2 – Enter the details of your target. This will include their phone number, the data that you are hacking, and a timeframe of the history. Step #3 – After you type this information into the according boxes, click “Start”. Step #4 – The hacking process can take a few minutes to complete but after it is over, click on “Generate”. Step #5 – A ZIP file will start downloading. Decompress the file once it has finished downloading and you can freely browse the information. Out of the three solutions that we’ve chosen for this article, Spyzie is the best. Aside from offering a lot more features than the other two WhatsApp spy hacker, the easily accessible panel makes it easy to navigate and track a wide range of data types. Take your pick. We’ve shown you just three of the top WhatsApp hacking solutions and how to use them too. Our recommendation is that you try at least two of them to help you find out which WhatsApp spy hacker satisfies your needs the best. On the other hand, try the demo version of Spyzie. One of the great things about Spyzie is that it’s not limited to WhatsApp. Snapchat, text messages, and all of the features that we spoke about before. All in all, as long as you choose a solution which keeps your identity anonymous and does the job, you can monitor your target with ease.